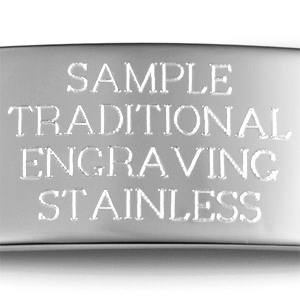 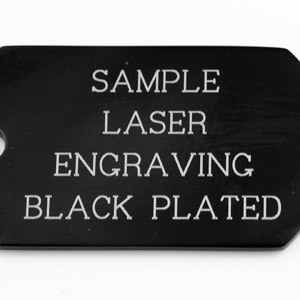 Engrave front and back of this medical dog tag necklace. 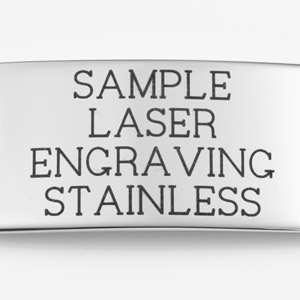 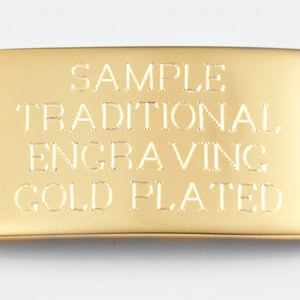 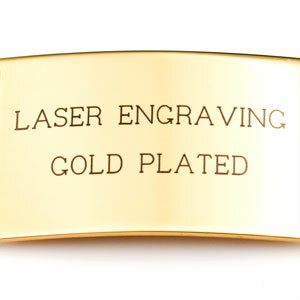 Engraving will reveal silver color under plating. 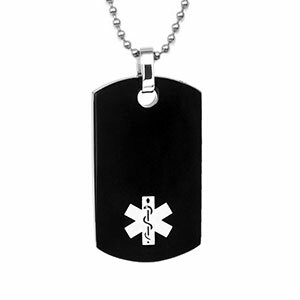 Comes with a 24 inch chain.